Summary: The film is about uncertainty: how can a person be sure of anything in this world? A reference to Rabbinic Judaism may seem an odd place to start a review of the new Coen Brothers movie, but bear with me. The Jewish tradition is one of long discussion, mulling over questions, telling stories and seeking to grow in wisdom through these exchanges. It’s the tradition that Joel and Ethan Coen have clearly grown up in, and if A Serious Man is their genuine response, they don’t seem too happy about it. I’m fully aware that I’m on dangerous ground here, as nothing is straightforward when the Coen Brothers are concerned, and making judgments about their films’ meanings is not advised. 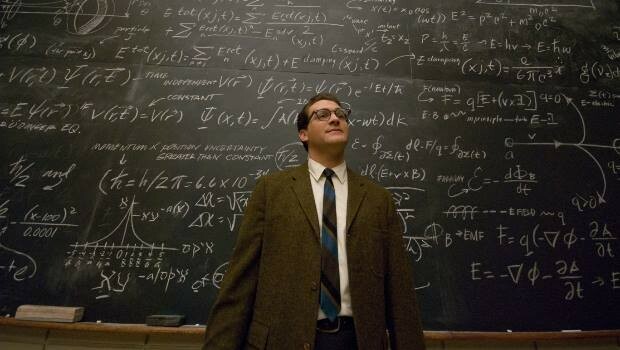 This is probably even more true than usual in the case of A Serious Man, a film that’s as difficult as it is brilliant. Unlike the pure idiot-mockery of Burn After Reading, or the detached precision of No Country For Old Men, this film feels personal, and therefore complicated. Like every Coen Brothers film it is populated with unforgettable characters who are flawlessly performed and, in their beautifully-drawn idiosyncracies, very funny. But if all you do is laugh at them you could miss the fact that they are dealing with some of life’s most serious (there’s that word again) questions. From its bizarre yet perfectly ominous pre-credits sequence onwards, the film is about uncertainty: how can a person be sure of anything in this world? And further, when there seems to be no guiding principle as to why one person suffers and another’s life is ‘blessed’, what is the right way to live? Is God there and is he interested? Why aren’t there any answers? The Coens put these questions primarily in the mouth and mind of Larry Gopnik, a Jewish physics professor who has the rug well and truly yanked from under him when his wife tells him she wants a divorce. Not only that, she is already planning to get re-married to Larry’s friend Sy, a patronising bear of a man, so they require a ‘get’. What’s a get? You may well ask, as many do, in one of the script’s recurring comic asides. These are just the beginnings of Larry’s troubles, and the way the Coens add layer upon layer to this story is masterful indeed. When Larry reaches the point of not knowing if he’s dreaming or awake, we feel the same confusion. Similarly accomplished is the discipline and focus of the filmmakers: every scene centres on the whys and hows of life; every character clearly offers a different way of coping, or not, with the tension that these questions create. It’s reasonable to ask whether the Coens are really interested in these questions in the world beyond this film. They have created these characters and are the ‘god’ of this world. They see all, and can decide where Larry’s life is going to go, regardless of his actions. The film’s final moments are quite terrifying in what they suggest, but they also could represent the Coens saying “there is one thing we can be sure of – we are in charge of this world, and we can do whatever we want with it”. Perhaps that’s the only sure conclusion A Serious Man can offer.